Diagnosis of prostate cancer with an “eNose”: is this real? For those of you who remember media reports and scientific papers showing that some cancers (prostate cancer included) could be detected, albeit with limited consistency, in urine samples by trained dogs … yes, this is now getting closer to real. A paper by a Finnish research team (Roine et al. ), just published in the Journal of Urology, describes the use of a standard, commercially available “eNose” (click here for more information) to detect the presence of prostate cancer in urine samples from men known to have prostate cancer and men known to have benign prostatic hyperplasia (BPH). A special chamber was developed to allow the eNose to “smell” the air above a specific urine sample: the authors refer to this as the “urine sample headspace” or just the “urine headspace”. The study population was a series of consecutive patients referred to a urologist for operative treatment of either prostate cancer or BPH in Tampere, Finland, between March 2011 and November 2012. Patients were divided into cases (50 patients with biopsy proven prostate cancer, all scheduled for robot-assisted laparoscopic prostatectomy) and prostate cancer-free controls (15 patients with BPH, all scheduled for transurethral resection of the prostate or a TURP, whose benign pathology was confirmed post-TURP). Subjects provided a standard morning urine sample before their operation and another sample 3 months after the operation. 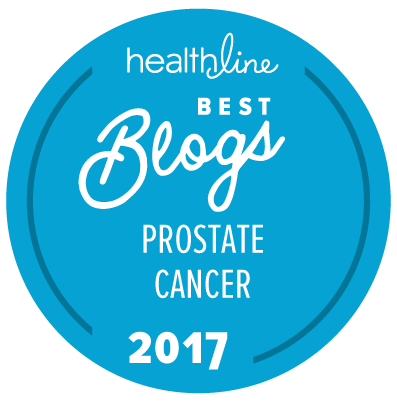 The basic result of the study was that — using a form of analysis known as “leave-one-out cross validation” (LOOCV) to model actual diagnostic implementation — the eNose was capable of identifying the presence of prostate cancer with a sensitivity of 78 percent and specificity of 67 percent. Their data are based on a small sample size. Most of the cancers were shown, post-surgery, to have a Gleason score of 7, so it was impossible to tell whether a positive eNose finding might be associated with histological aggressiveness of the patients’ cancers. The 15 BPH patients all had a form of this condition sufficient to warrant surgical treatment. The eNose used in their study is able to discriminate between patients with prostate cancer and patients with BPH using urine headspace. The performance matches that of PSA in previous literature. Results are achieved rapidly and in a completely non-invasive manner. Future studies to enhance current technology and to identify the molecules behind the distinct odors are warranted. We would note that identifying the molecules associated with the specific “signatures” recorded by the eNose used in this study would, presumably, allow the eNose to identify the presence or absence of these molecules with a much higher degree of accuracy. Stay tuned. This is starting to look really interesting! It is even possible that this type of technology would be able to distinguish between patients with differing Gleason scores — if it is possible to identify the relevant biochemicals present in patients’ urine with great accuracy. Is there any indication the researchers will soon scale up with a large trial? If so, and assuming encouraging results, we may soon see such a test used to help decide whether to have a PSA and DRE, and perhaps the combination of results of eNose and those traditional tests will give us a better way to decide whether a biopsy is warranted. As implied above, my guess would be that the research team’s first priority is to be able to improve the accuracy of the test by being able to identify the key biochemicals with greater accuracy. This reminds me of a story Jack Kornfield tells about the Dalai Lama’s Chief Physician. He made grand rounds at a major New York City hospital and accurately identified the condition of a patient by having her pee, whisking her urine and then smelling it!